Tesfaye R, Worku A, Godana W, Lindtjorn B: Client Satisfaction with Delivery Care Service and Associated Factors in the Public Health Facilities of Gamo Gofa Zone, Southwest Ethiopia:In a Resource Limited Setting. Obstetrics and Gynecology International 2016, 2016:1-7. Background. Ensuring patient satisfaction is an important means of secondary prevention of maternal mortality. 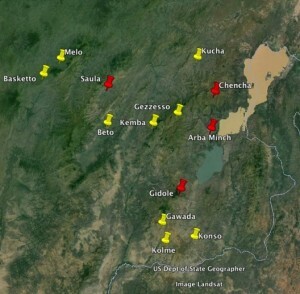 This study presents findings from a multidimensional study of client satisfaction from the Gamo Gofa Zone in Southwest Ethiopia. Methods. A facility based cross-sectional study using exit interviews was conducted from 2014. Client satisfaction was measured using a survey adopted from the Donabedian quality assessment framework. Thirteen health institutions were randomly sampled of 66 institutions in Gamo Gofa Zone. Logistic regression was used to determine predictors of client satisfaction. Results. The overall satisfaction level of the clients in this study was 79.1% with (95% CI; 75–82). Women attending health centres were more likely satisfied than women attending hospitals . The proportion of women who complained about an unfriendly attitude or unresentful care from health workers was higher in the hospitals. The presence of support persons during child birth improved client satisfaction (AOR = 6.23 95% CI; 2.75–14.1) and women who delivered with caesarean section are four times more likely satisfied than those who deliver vaginally (AOR 3.6 95% CI; 1.44–9.06). Client satisfaction was reduced if the women had to pay for the services (AOR = 0.27 95% CI; 0.09–81). Conclusions. The study shows that overall satisfaction level is good. More emphasis should be put on giving women friendly care, particularly at the hospitals. 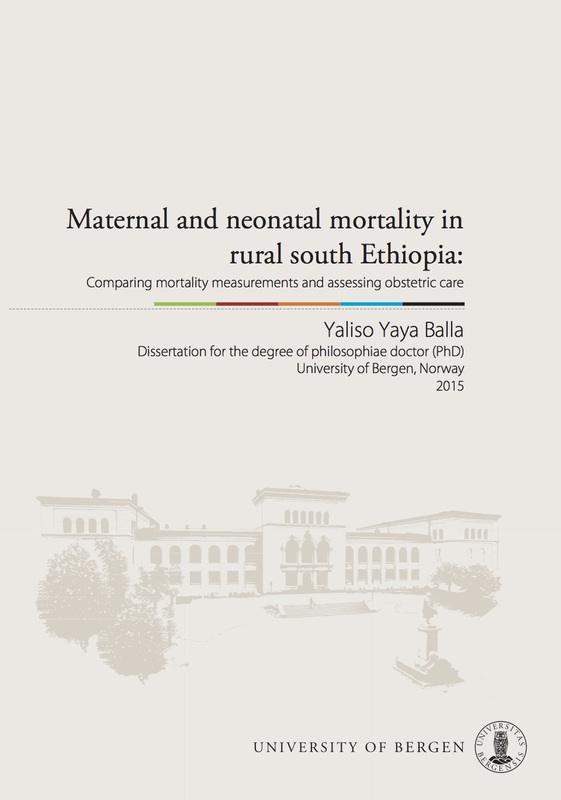 Rahel Tesfaye.Client Satisfaction with Delivery Care Services and Associated Factors in the Public Health Facility of Gamo Gofa Zone, South West Ethiopia. 2014. 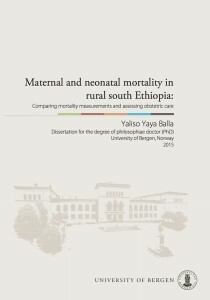 Arba Minch University and Addis Continental Institute of Public Health. Background Ensuring patient satisfaction is an important means of secondary prevention of maternal mortality. Satisfied women may be more likely to follow to health providers’ recommendations. And, studying patient satisfaction can help to improve services, and reduce costs. However, so far there few reports on client satisfaction on delivery care from developing countries. This study presents findings from a multi-dimensional study of client satisfaction from the Gamo Gofa Zone in South-West Ethiopia. Objective The aim of this study was to assess how satisfied clients using delivery services at public health facilities are Gamo Gofa zone in South-West Ethiopia. Methods Using exit interviews and we did a facility based cross sectional study in December 2013 and January 2014. We measured client satisfaction using a survey adopted from the Donabedian quality assessment framework. We randomly sampled 13 of 66 institutions in Gamo Gofa. The number of delivering mothers in each health institution was based on proportional to size allocation. We used logistic regression to determine predictors of client satisfaction. Results Most of mothers (79%; 95% CI; 75-82%) were satisfied with delivery care. The presence of support persons during child birth improved satisfaction (AOR=8.19 95% CI; 3.49-18.8). ), as were women who delivered with caesarean section (AOR 2.99; 95% CI; 1.17 -7.66). However, client satisfaction was reduced if the women had to pay for the services (AOR=0.13 95%CI; 0.06-0.29). Women attending hospitals were less satisfied (69%) than women attending health centres (94%). The proportion of women who complained about an unfriendly attitude from health workers was higher in the hospitals.